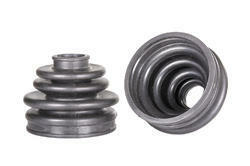 Leading OEM Manufacturer of rubber stopper and axle boot from Delhi. Rubber StoppersBLACKITE® Rubber Stoppers in durable Silicone, EPDM, Neoprene and natural Pure Gum rubber. Types include Micro, Solid, rubber stoppers with one hole and two hole varieties. Silicone stoppers, Neoprene and Pure Gum available in solid plugs only. 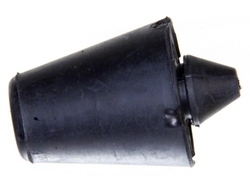 EPDM Rubber Stoppers available in solid, 1-hole and 2-hole varieties. • FREE SHIPPING on qualifying orders over INR100000. • We strive to ship within 07 business days. CV joints are covered by rubber or plastic boots that keep the joints lubricated and prevent dirt and water from getting in. If a boot tears, grease can leak out and moisture and dirt can get in. If left unattended, it's only a matter of time before the joint fails from lack of lubrication or corrosion. When that happens, the whole axle may need to be replaced.